Is your FMCG or Retail business performing at its optimum? How have you adapted to changes in the economy, society and in the trade? Our Business Strategy team of FMCG professionals has blue-chip CEO, Board and GM level experience in Australia and internationally. We help you to review your business models, processes and structures in order to regenerate your business, with a weather eye on the numbers . 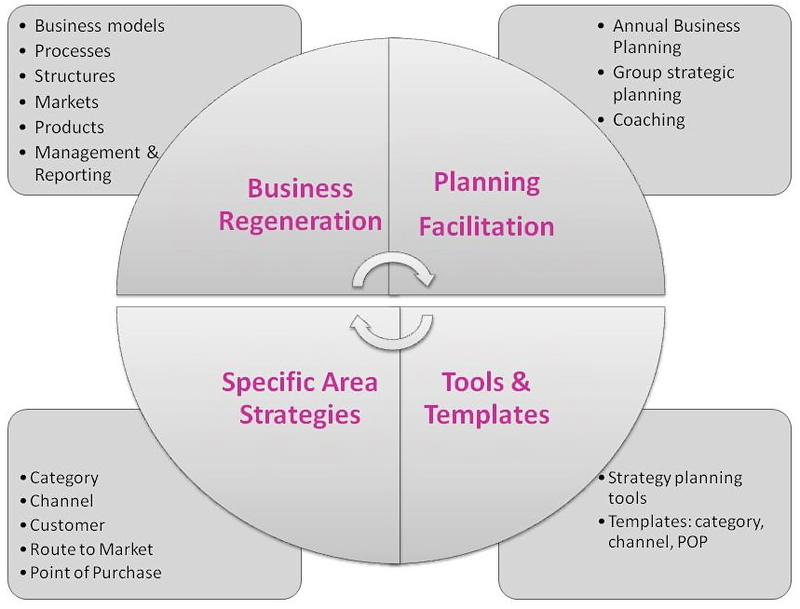 We facilitate your strategic planning process, offer best practice tools and templates, and assist you with specific area strategies such as category, channel and route to market. We provide end-to-end support to ensure your ‘big ideas’ are implemented. ShopAbility offers an objective, candid, 360 degree view. We focus on applicable commercial strategies that are strongly grounded in the reality of what is happening with shoppers, retailers and the market, and most importantly – where it’s going. Your key contacts for Business Strategy are Peter Huskins 0412 574 793, Peter Huskins 0412 574 793 and Margaret Haseltine 0418 246 234.